cloned boshintang in the making…? This is the stuff that science fiction is made of. 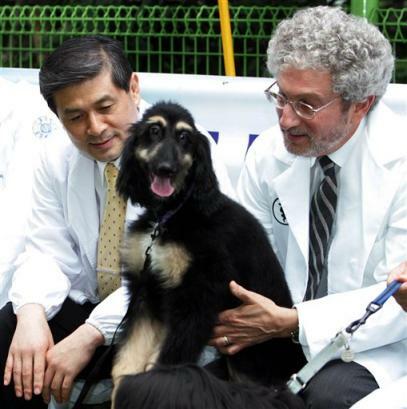 Is this doctor trying to be like god for “making” the world’s first cloned dog? Where man has led, man’s best friend has followed: a dog has been cloned for the first time, by the same team of scientists that first achieved the feat with human embryos. The birth of Snuppy, an Afghan hound named after the Seoul National University (SNU) in South Korea where it was created, promises to advance both human and veterinary medicine by providing a new model species for research into therapeutic cloning. Will they attempt to try to create a cloned human after successfully “making” a cloned dog?